Sage Lindsay hasn't let cancer slow her rodeo career down! The arena gate opens and dirt begins to fly as an antsy horse with a young girl breeze by headed for a line of six poles. As they weave in and out, their hair flies back and forth. When they round the sixth pole and head for home they give it all they’ve got to make a time with hopes of placing in the top 10. Sage Lindsay, a senior at Bozeman High School, is excited for the 2018 rodeo season. She is ready for something normal to happen in her life. Sage was diagnosed with cervical cancer in March and is undergoing chemotherapy. 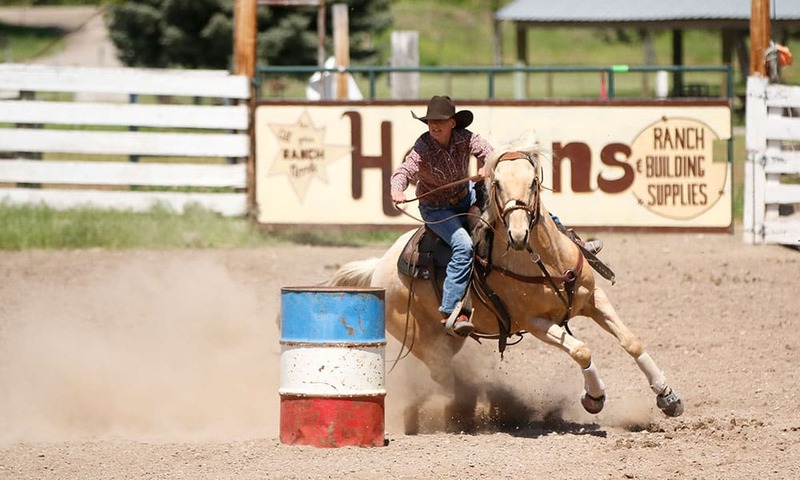 The dynamic duo enjoys competing in barrel racing. Her older brother Jordan introduced her to the rodeo lifestyle four years ago when she was just 14 years old. At the time, she was an active and successful gymnast. Sage attended every rodeo her brother went to and videoed every bull ride he had. She loved the people and the environment so much she couldn’t stay away. When Sage was a junior in high school she decided to pursue the sport of rodeo. 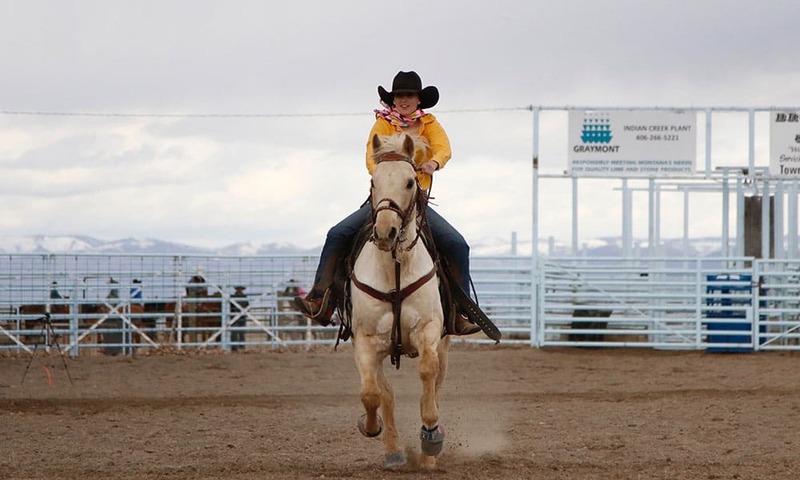 She made great strides in her first year, making it to the Montana State High School Rodeo Finals. Her life is filled with such amazing support from her family, coaches, teammates, and the entire rodeo community. Sage has gone through two chemotherapy treatments thus far, and will have one more before going back for an official checkup. She is determined to go back to state this year in barrels and poles. With the motivation of her friends, family, and coach she will be able to reach for the stars in her rodeo career. Sage is all smiles as she rides out of an arena. It has been almost a year since Sage was diagnosed with cancer. She had a great high school rodeo season. She even made it to the Montana High School Rodeo State Finals in Baker, Montana! Sage is now attending Montana Tech in Butte, Montana, where she is studying computer science. She is a proud member of the Montana Tech Rodeo Team. After being admitted to the hospital at the end of December due to a blockage, her brother put together a little surprise to boost her spirits. Sage is reunited with her rodeo teammate. 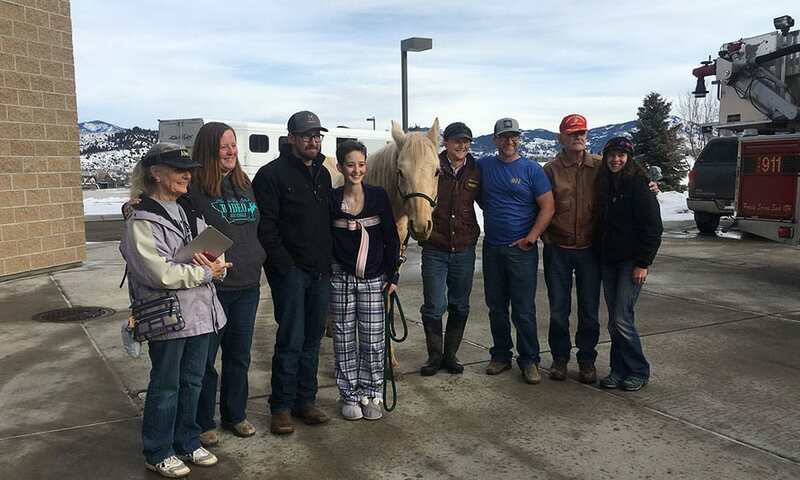 On January 4th, a large group of friends and family gathered together to see Sage be reunited with her best friend Ranger. We hope to continue the good vibes and prayers as this tough cowgirl continues her fight. We are Sage Strong.